Since the election of the Trudeau government, there has been increased interest in the concept of basic income (also known as guaranteed income, and negative income tax). The confluence of liberal governments in Ottawa and seven provinces, as well as two NDP governments, suggests that a political consensus may be possible to take a historic step forward. A guaranteed income, or negative income tax has been held up as a noble objective to eliminate poverty, an efficient replacement for a labyrinth of means tested and over-bureaucratized programs, and a more effective insurance system for the new economy, for a long time. It could also provide a significant offset to increasing income inequality. Now there are people saying that this is a good time to launch one or more pilot projects to really test the concept. My view is that this is well-intentioned but wrong. We have ample historical proof that doing a pilot project and evaluating it carefully is a fail proof way of ensuring that the real thing will never get done. Negative income tax and guaranteed income projects were piloted in the sixties and seventies in the USA and Canada. They took several years to complete and the results were ambiguous because experiments with collective human behaviour are almost impossible to fully evaluate. We can’t control all of the factors that affect peoples’ lives and we can’t have reliable control groups because we can’t control their lives either. The US projects documented a decrease in labour supply among the experimental population. But they didn’t really know how significant that was because they had no comparative data for the various local and state systems in place at the time. And the political consensus was gone when the projects ended. The same for the Manitoba Mincome experiments in the seventies. Governments changed; political tone changed; the opportunity passed. And imagine this: when the experiment was just nearing completion, the federal government was trying to cut costs and decided to save money by not evaluating it! It was a couple of decades later that some researchers were able to pull together some figures which again, did not tell us much. In the nineties we tried a similar thing with providing income subsidies for low income lone parent women. Again, years passed. We learned a little bit about a lot of things but nothing really important, and provincial government policies moved along on their own paths. The big concern about an automatic, tax-based basic income program is of course, that people will choose not to work, or will work under the table. Well, you know what? Some people will choose not to work, and some will work under the table. Just like some do now. But doing an experiment to compare the effects of a particular approach with the various effects of our various current systems and subsystems of social assistance, work incentives, services, subsidies, tax credits, disability allowances etc is not too useful. The purpose of a basic income program should be to integrate all of the income programs into one that works well. And because we know that the design of income transfer programs does have real influence on how people react, it is going to take awhile to get a lot of systems aligned. We need to ensure that income support is smoothly integrated with earned income incentives, so that people are not locked into dependency. It needs to meet nationally-accepted standards of adequacy while still responding to local economic situations. Senator Hugh Segal’s work of a few years ago which suggested a basic income standard comparable to the OAS-GIS, is a good starting point. It needs to serve individuals as well as households. Earned income subsidies need to dovetail well with market wages and minimum wage standards. These challenges may seem big and they are, but they can be met and the approach should be one of broad intergovernmental collaboration, collective ownership by all governments, constant learning and continuous improvement. We have a big opportunity right now and we need to take advantage of it. The opportunity is not just to improve the incomes of the poor, which is important enough; but it has other dimensions. We have an opportunity to take a bunch of programs which don’t work very well together, and bring them together into a ratIonal system which can be understandable, easily accessible, and efficiently operated. We have an opportunity to get rid of competing fiscal objectives, where the province gains by moving people from social assistance onto CPP disability benefits, or where the federal government gains by reducing employment insurance benefits and dumping people onto social assistance. Federal and provincial and municipal bureaucrats work hard to make these gains for their team while the same taxpayers pay for the whole mess. We could change that and make sure that objectives are aligned and that an underlying pooling of costs ensures that all governments gain or lose together, not at each others’ expense. We need to use the potential for political consensus to deal with the thorny jurisdictional barriers which have blocked reform efforts in the past. The overall constitutional authority for responding to poverty and providing related support services is provincial, even if the federal fiscal role in overall income redistribution is larger. We may need to consider a constitutional amendment, such as the one for the Old Age Security program, or the one for the CPP. I hope though, that we would not go that route. Now is the time to take a collaborative intergovernmental approach, and we have good precedents for this, The income tax agreements and tax system are a good model, where the federal government administers the program, and revenue is shared with provinces who maintain their authority to determine their own tax rates and credits.The system is flexible enough to permit Quebec to administer its own system if it insists, yet still be coordinated with the federal one. The HST is also a useful experience, where provinces can decide to opt in and integrate sales taxes when they are ready. And the tax system is the right system to use to implement the basic income as well as the credits. Another reason why we should not run an experiment to compare a basic income with the present system is also an opportunity. When the experiment is finished we will not be living in the present. The future will be here. And so we have an opportunity to develop an integrated income support system which will help us to meet the challenges of our evolving global, digital, knowledge-based economy. The world of work is being revolutionized and we will need to integrate income support with a wide variety of work and income situations. Information technology and global supply chains are making many jobs unnecessary. New earning opportunities are taking new forms and do not resemble very much the old industrial work model. Making money is not limited to being formally employed. Self employment, the informal economy, the sharing economy, innovations like Youtube productions, – don’t mesh well with current systems. We need a major redesign and we need to start doing it with the idea that it will be changed and adjusted as we go along – much like the tax system itself. We also have an opportunity to do something major, right now, because of the current economic situation. If we run some deficits now by putting more purchasing power into the hands of the poor, what better time, and what better way to stimulate local economies? It could even help the green economy. And if a combination of basic income and earned income credits pushes up wage demands at the lower end and improves all below-median incomes, what better time to do so? And if some low end jobs get replaced by technology, thereby increasing productivity, that sounds okay to me. The baby boom is retiring and we should not rely on a (relative-to-total-population) smaller, more educated generation to take up low end, low productivity jobs. And if this helps to reduce inequality, what a great thing! We don’t want to delay this action until the economy is in a different phase, and the political stars are differently aligned. Now is the time for bold action and Mr Trudeau seems like just the right person to lead it. Seriously… nasty highly-aliased fuzzy font… and then you make it light grey? Love the article! 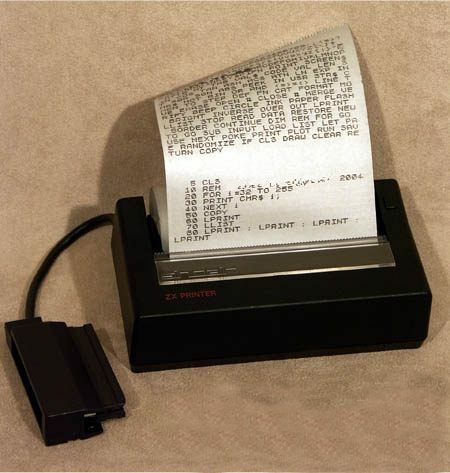 Just please, make it easier for people to read… I’ve seen more readable output on a printer from 1981.